Devprayag, India. Confluence of the Bagirathi and Alakanda rivers - the physical start of the Gagnes River. 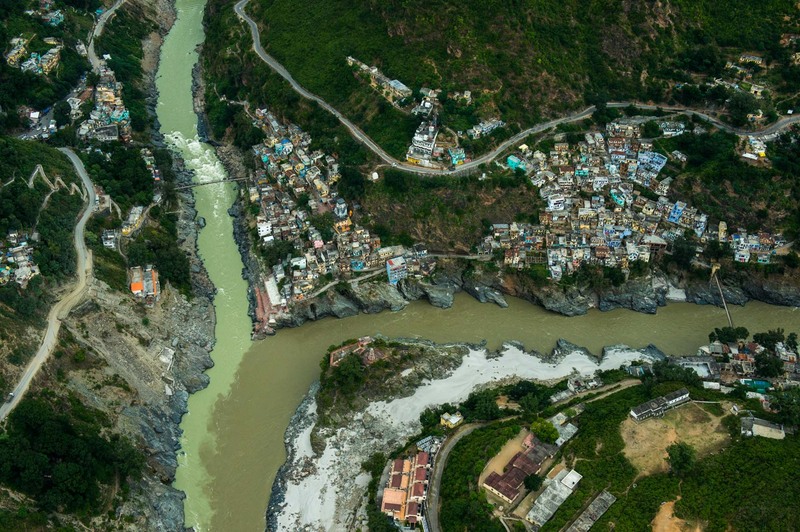 Aerial views of the Ganges River from Rishikesh to Utterkashi, India. Himalaya.